The Chamber is your most valuable, yet lowest paid employee, taking as much interest as a partner but leaving you the boss. A committee of top-flight business and professional executives voluntarily work to improve your business opportunities and living enjoyment. The Chamber is a business organization working full-time, looking at and addressing possible improvements to make our area an even better place to live and earn a living. Yes, it provides eyes of specialized observers who maintain a watch on those matters that affect every citizen in the community. Through your Chamber, you can voice your views on legislation, taxes, civic affairs, employment, trade, transportation and other important matters. Joined with the opinions of other civic and business leaders, your ideas are amplified through a cooperative “voice of business” and acquire additional strength. The Chamber staff answers hundreds of inquiries a year relative to every imaginable question concerning the city and area. These inquiries would go unanswered if there were no Chamber of Commerce. The goodwill and accurate information furnished has an incalculable value to the Tustin Area. The Chamber provides a clearinghouse of information needed by prospective industrialists, visitors, potential residents, and local businesses who are interested in learning more about the area. In serving the businesses of the community, the Chamber is devoted to activities designed to create more community wealth. As payrolls are expanded and more jobs created, everyone stands to benefit from the growth. More people, more sales opportunities, more money, more tax revenue and the resulting increased services all add to making the Tustin Area an even better place to live and make a living. The Chamber is the place where visitors gain their first impression of the hospitality and soundness of our community. This office reflects the energetic outlook of our civic leaders and business community. It is a rallying point for community development. In the same relationship to your business as rent, lighting, advertising, and payroll, your membership investment should never be considered a contribution. One voice raised in defense of a right, or one person or business taking on a project, is often weak and ineffectual. But when many voices are raised and many people work together in community affairs, much is achieved. When you, as an individual or business, express your opinions and concerns and make a contribution physically and financially, in a cooperative effort with your peers in the community, you have made a commitment to work collaboratively for the betterment of our area. 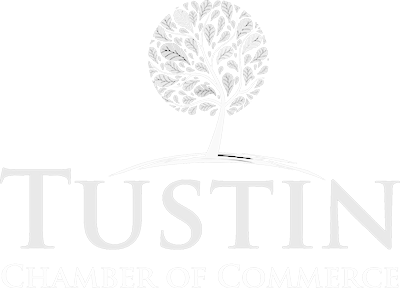 The Tustin Chamber strives to be a leading agent of change; to stimulate orderly growth and economic development, to address local, state and national issues affecting our area, to develop social responsibilities affecting homes, schools, health, and to promote the free enterprise system. You, as a businessperson working in and with the Chamber, make your contribution to the community effort and, in turn, it benefits you, your family, and your business.